Cuprinol Decking Oil & Protector - 5L. 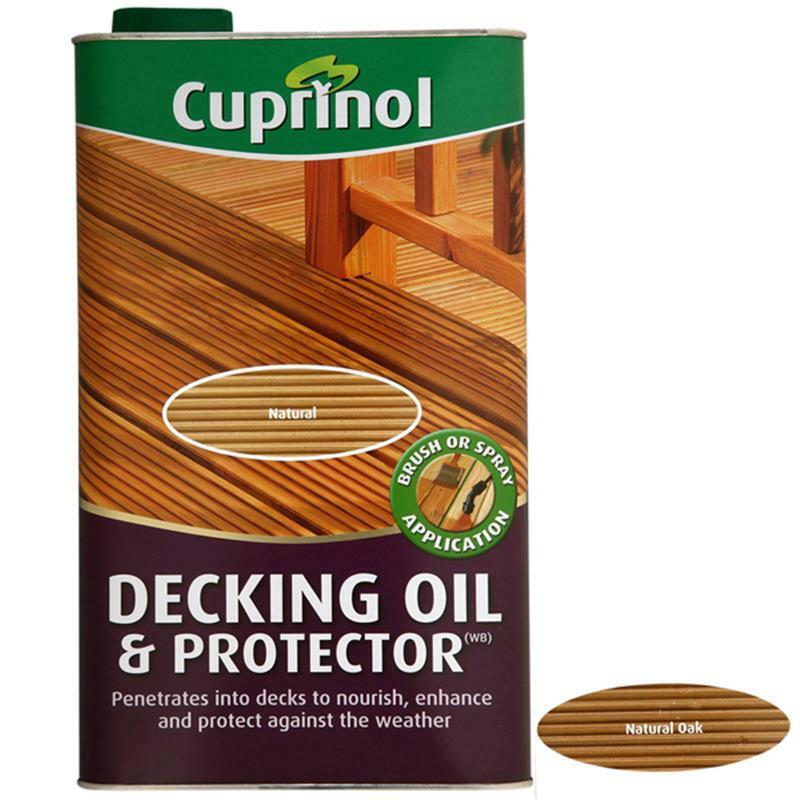 Cuprinol decking oil & protector can be brushed or spray applied to penetrate into the wood to replace natural oils and resins lost through weathering. Its tinted formula revitalises the colour of weathered wood.